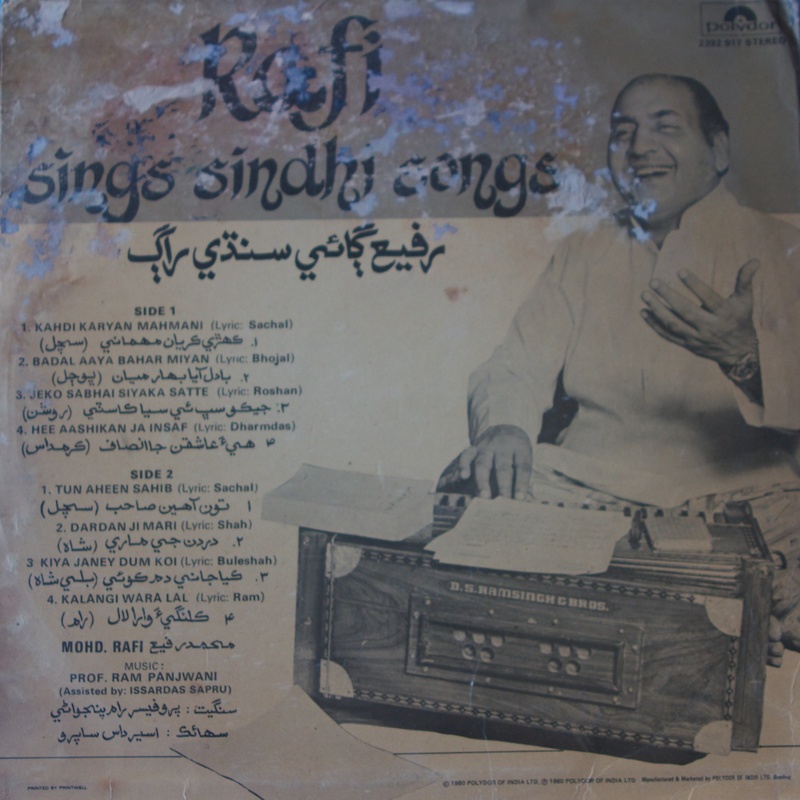 Mohammad Rafi was one of the holy trinity of Indian playback singers that genuinely formed the soundtrack to India’s first thirty years of Independence. From the late 40’s to the late 70’s Rafi’s voice along with those of Lata Mangeshkar and Kishore Kumar filled not only every cinema but bounced off every narrow gali, blasted from every café and barbershop and wedding celebration across India. And beyond, to Russia, the Middle East and Africa. Born near Amritsar but raised in Lahore Rafi was an improbable superstar. His family was not a traditional musical one and though he began singing publicly at a young age it was not until he moved to Bombay in the early 1940s that he received training from some of the greats of Indian khayal including Ustad Bade Ghulam Ali Khan. But what he lacked in pedigree he made up for in capability. His first film work was in 1944. Four years later he was invited by the first PM of India, Jawaharlal Nehru, to sing at his home. From then on film work increased with Rafi recording thousands of songs for the Bollywood musical directors. Some, such as O.P Nayyar, Naushad and Shankar-Jaikishan used Rafi almost exclusively at various stages in their own glorious careers. 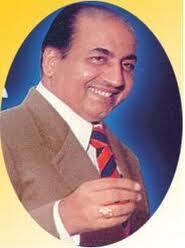 I’ve posted some of Rafi sahib’s film work before and more will come. 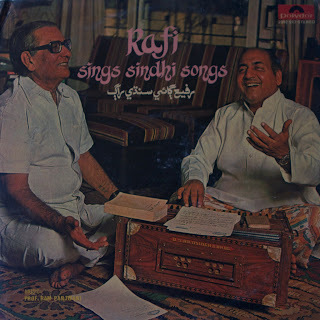 But tonight’s post is a record of devotional and spiritual music sung in Sindhi. As such it is a delightful detour away from the filmi world with which he is almost always associated. The lyrics of these songs comes from some of Sindh’s great folk and mystical poets: Bulleh Shah, Shah Latif and Dharamdas. The music is composed by one of Sindh’s most beloved patriots Dr Ram Panjwani. 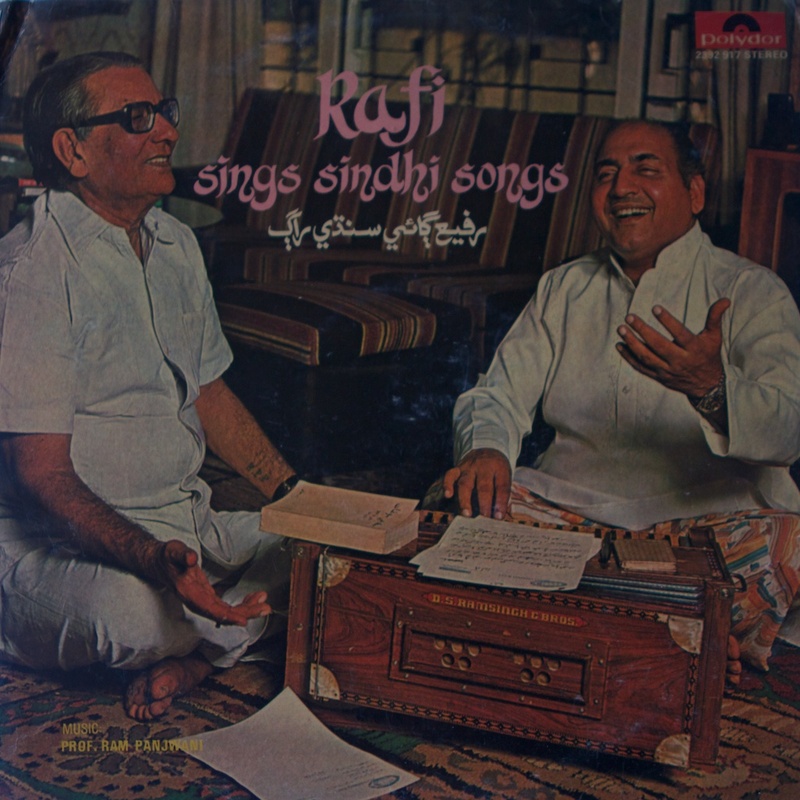 He’s pictured on the front of the album with Rafi. Panjwani was born in Larkana, the same district that was the stomping ground of Pakistan’s great Bhutto political dynasty. At Independence he, with hundreds of thousands other Hindu Sindhis, fled to India. 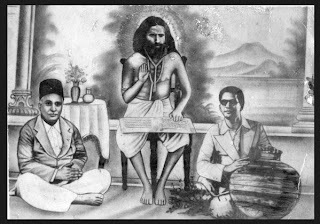 Pajwani (who was a writer, musician and activist) became a great organiser of the displaced Sindhis in Bombay and across India. To assist him he used the Sindhis’ community god, Jhulelal as a cultural touchstone to give them hope and solace in their ‘exile’. The (very crudely paraphrased) story of Jhulelal is a tale of deux–ex-machina. In the early days of Muslim penetration of India the Hindu residents of Thatta in Sindh had the misfortune of being ruled by a Muslim ruler, Mirkshah, who was aggressive about converting the local population….by force if necessary. Given 40 days to agree to abandon their faith and convert to Islam, the people of Thatta beseeched their gods for a way out. On the 40th day a local woman became pregnant and eventually gave birth to a boy child. 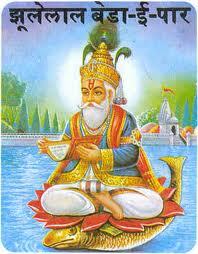 From the infant’s mouth flowed the Indus River and on the river riding a fish was an old man with a long beard. The child/man was able to convince the Mirkshah’s vizier that he was indeed a spiritual being and eventually when confronted with Jhulelal’s powers Mirkshah himself relented and let the people keep their Hindu faith. The story is rich with Sindhi syncretic thinking. Indeed, the vast countryside of what is now Pakistan was for centuries the home of a highly syncretic culture and religious practice. Sufi poetry is appreciated by Hindu Sindhis as much as Muslims and Jhulelal is so revered by Sindhis of all persuasions, the phrase “Jhulelal beera hee paar” is a standard greeting between Sindhis wherever they are in the world. And of especial interest to the Washerman’s Dog is the frequent reference to Jhulelal in that great Sufi qawwali Dama Dam Mast Qalandar. 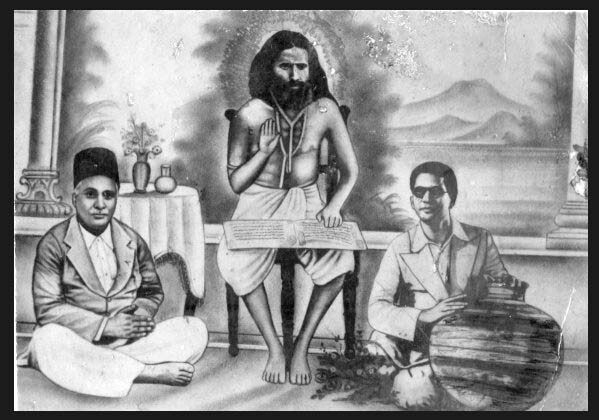 So it is with great pleasure tonight I post Hindu and Muslim spirituals from Sindh sung by a Muslim set to music composed by a Hindu who revered the tolerant diety of Sindh who wanted his resting place to be half Hindu half Muslim. 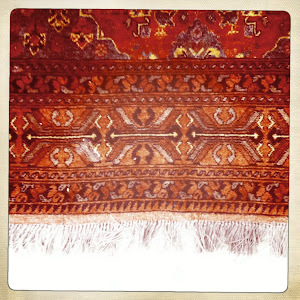 The Wonder That Was Sindh! Oh my is this spectacular! Many thanks. One thing, though. There seems to be a pronounced hum throughout all the files. If you were able to re-up this material, I would be grateful. (Actually, I'm already grateful. I would just be MORE grateful.) I am deeply digging your wonderful music and thoughtful commentary. Gil, yes there is. sorry about that. I'll try to upload soon. The link is now fresh and there should be no hum. Please let me know if there is. Apologies. Friday Night Special: Which Way America?